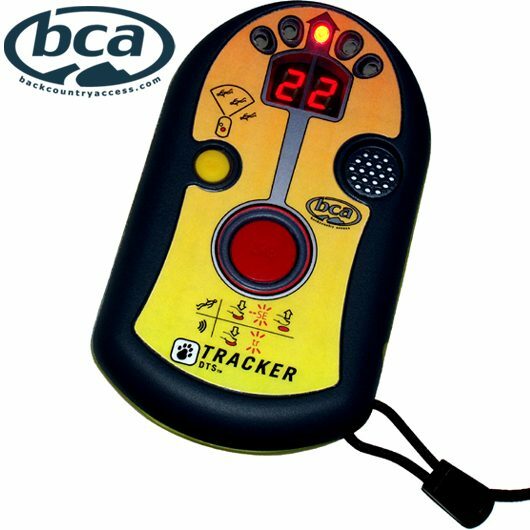 Stay safe on the mountain with BCA and some of the best selling avalanche gear in this BCA DTS Tracker Package. The Tracker DTS is one of the world's best selling digital transceivers and trusted by thousands of skiers across the world. The Tracker DTS is the most user-friendly beacon on the market because of its rapid processor and simple user interface. 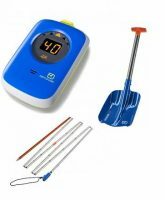 The digital transceiver is ideal for any beginners or those who are inexperienced with avalanche rescue as it is so simple to use and easy to get to grips with. If skiers are caught out by an avalanche, their companions in the vicinity have their work cut out. They have to locate the victims and dig them out as quickly as possible. The chances of survival diminish rapidly after 18 minutes of burial in the snow. If a transceiver is carried, search times are reduced drastically, maximising the likelihood of a successful rescue. 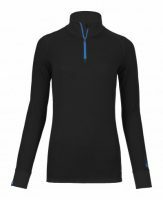 The transceiver should be carried on you, worn directly under your outermost layer and switched on to transmission mode every time you go off-piste. Keep it turned on until back on piste. 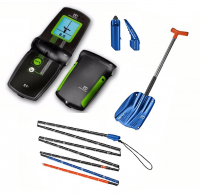 The dual antenna technology gives the searcher the precise distance and direction of the buried person(s), meaning that the searcher does not need to use time-consuming grid or tangent search patterns. 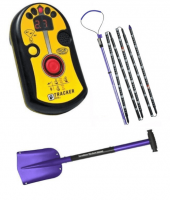 The transceiver's dual antenna captures the signal and the microprocessor then uses straightforward visual signals to direct the searcher to the buried victim. 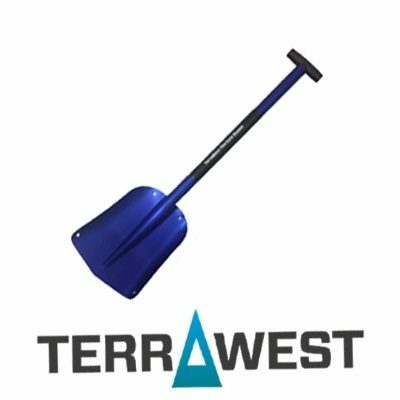 The Terrawest Core Shovel is a light, extremely practical shovel with a great strength-to-weight ratio, built for use by all off-piste skiers or back-country expeditions. This is an all Aluminium shovel that is collapsible into 3 parts for efficient transport, or 2 parts for fast assembly in an emergency. The telescopic function also means that the shovel can be used at full length, for maximum power, or at a shorter length for the greatest possible efficiency of movement in tighter spaces. A classic T-Style grip means this shovel is easy to use and a strong, anodized Aluminium (6061), means the blade will not fail, regardless of load or conditions. Blade size: 28cm by 22cm. 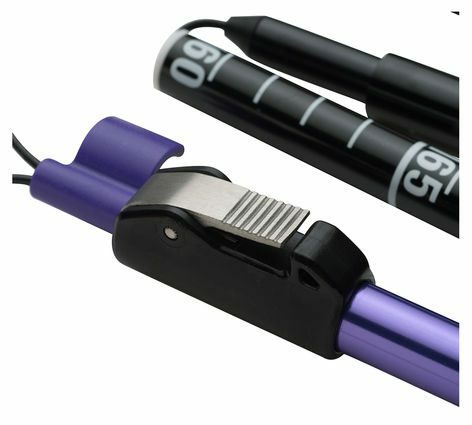 82cm maximum length and 66cm option for shorter shovelling. With a shorter length ideal for lightweight tours, avalanche rescue practice and skiing terrain with shallow snowpacks. 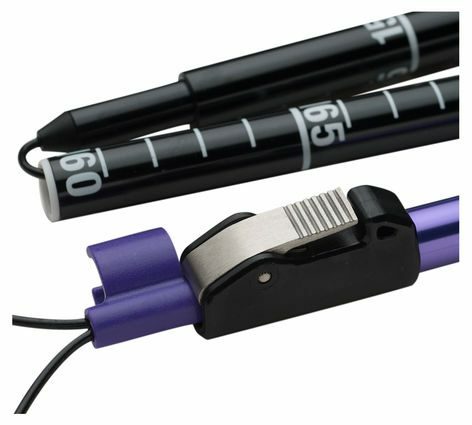 the Black Diamond Quickdraw Tour Probe 240 features durable aluminium construction. 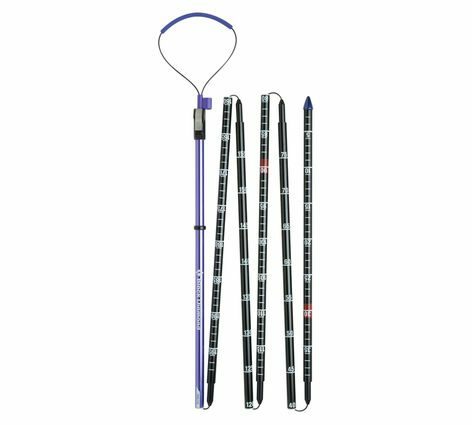 The Tour 240’s updated ferrules make for increased durability and quick alignment, while the integrated stuff sack and non-slip grip make for fast, one-pull deployment in emergency situations. The display shows both direction and distance with bright red LEDs (light emitting diodes). The distance shown in metres. Indicator lights display the direction of transmitting beacons. Your serial number will consist of numbers and letters for example "C" "8" "1" "4" "7" "5" "J" "6"
of a beacon search. A probe can quickly confirm the location and depth of burial. and in determining the appropriate excavation area size. apart in an expanding spiral pattern. probe perpendicular to the surface, not straight down. 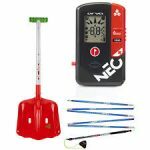 this is a great investment if you are getting into off-piste skiing. 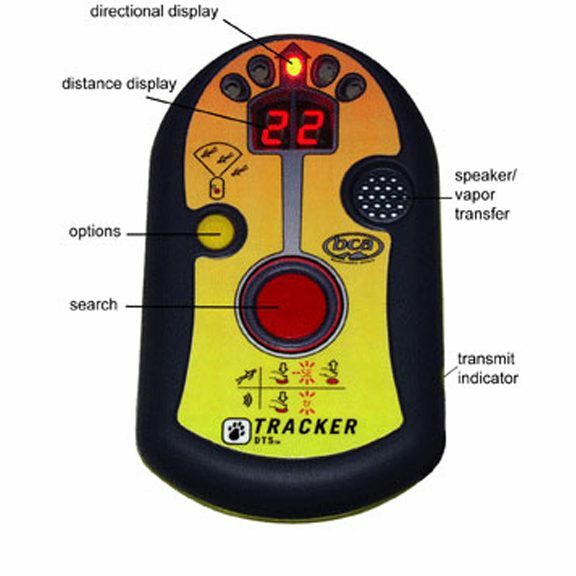 the tracker is one of the most reliable and simplest to use transceivers on the market. the first time i practised i had no problem in locating the ‘victim’. its a little harder when there is more than one to search for but with a bit of practise you can get it mastered. 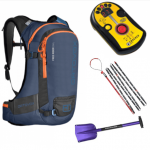 the harness that comes with it makes the transceiver comfortable and easy to wear. 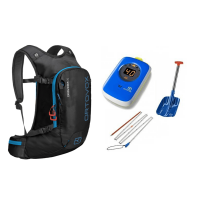 the shovel/probe system is really great.i dont like a lot of weight in my pack when i ski so this is perfect. 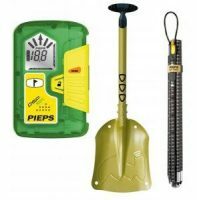 the probe fits really neatly into the shovel and the shovel itself is superlight.